Government funding and grants, and a trade update. Last week, the federal government delivered the fall economic update in Ottawa. Finance Minister Bill Morneau announced measures meant to encourage investments in new machinery and equipment, boost export diversification, and streamline trade between provinces. The government committed to investing $1.1B to an Export Diversification Strategy to increase exports by 50% by 2025, allocating millions of dollars to help small and medium-sized businesses find new markets. When we consider how much international recycling markets have changed in the past year, it's clear that our industry needs to take advantage of government funding. One place to start is on the website for Innovation, Science and Economic Development Canada. The site hosts a searchable list of hundreds of funding and grant programs. Use filters such as "grow and expand my business" or "export products and services" to narrow your search. The site also provides a list of potential tax credits meant to lower business costs. CanExport is a government program that provides financial support for small and medium-sized businesses to develop new export opportunities. Another government grant program that can help cut costs is the Canada Job Grant, which helps employers pay for employee training. CARI staff continues to work closely with officials at Global Affairs Canada and other government agencies, as we do all that we can to protect and grow our industry. Please contact us with any questions or concerns. China has approved a list of pre-shipment inspection agencies for solid waste imported as raw materials, including one in Canada. CLICK HERE for the list. Did you miss our latest Letter from the Chair? CLICK HERE to read more about the work CARI has done in 2018, and what's in store for 2019. CARI staff recently participated in a meeting held by the National Waste and Recycling Association Safety Committee in Knoxville, Tennessee. 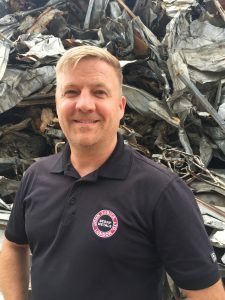 The event brought together a collaboration of representatives including ISRI, NWRA, CARI, AAA, and IACP (International Chiefs of Police) to discuss ways to better educate the public on the dangers of distracted driving. CARI looks forward to working with this group in the future. We remind members to review driving policies with employees now that the winter weather is upon us. 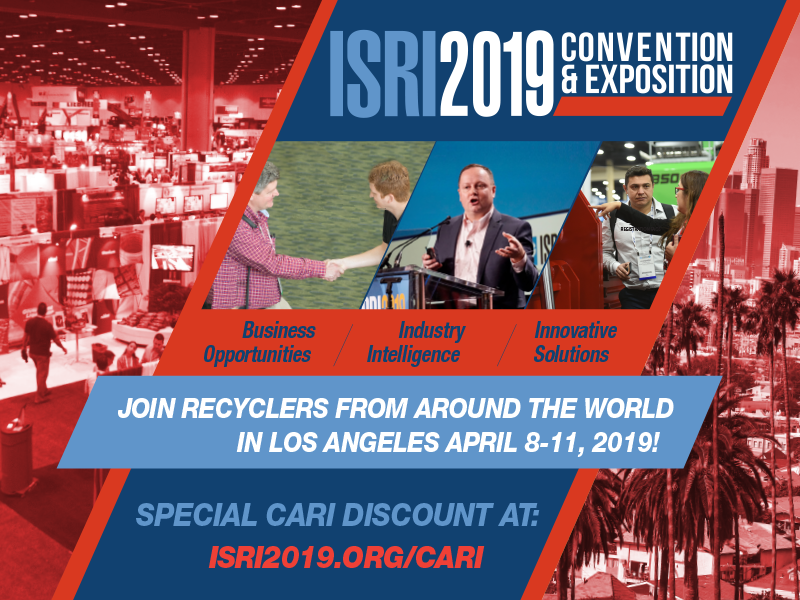 ISRI is offering CARI members a special discount to attend the ISRI 2019 Convention & Exposition. Through January 15, 2019, CARI members in good standing will receive the ISRI member discount rate of US$875, representing a savings of more than 40% compared to the full conference registration rate of US $1,490. Visit https://isri2019.org/CARI/ for more information and contact Donna to obtain the special discount code before you register.